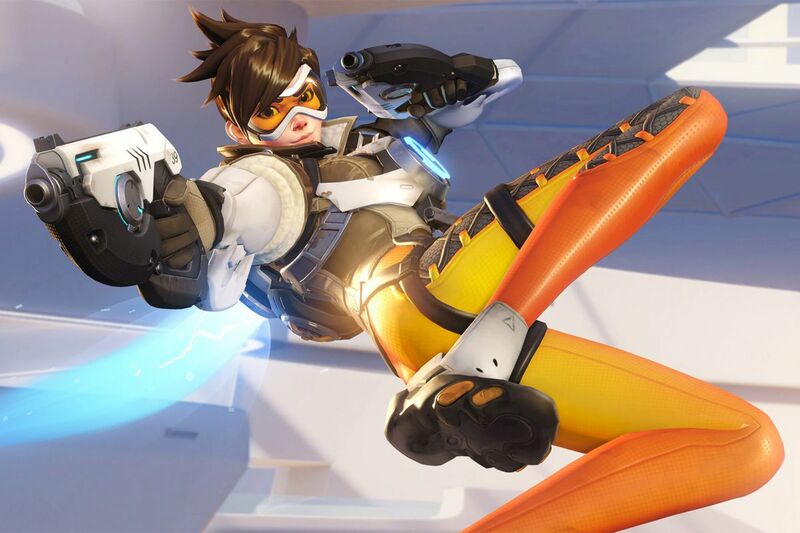 New functionality comes to Overwatch: Looking For Group and Endorsements – AiPT! Find the right players and earn rewards for being a good sport. Overwatch is introducing two new social features to the game: Looking for Group and Endorsements. Overwatch Game Director Jeff Kaplan spoke on the two new features in the latest Overwatch developer update. There’s two systems available in Overwatch today to punish players that negatively impact the game, the report feature and avoid player. The endorsement system is designed to do the opposite, it’s here to reward the good players. There are three areas in which you can endorse fellow players: sportsmanship, good teammate and shot caller. The endorsement system is public, which means everyone can see how nice of a player you are. You can see if someone is a great teammate, good sportsman or a shot caller that you want on your team. This system ensures you don’t just get to hit a high level of endorsement (super duper sportsman) and sit there forever, you will have to be continually recognized by other players to maintain that. There’s basically a decay system in place. If you get actioned in anyway, silence or suspended, you completely lose all endorsements and start from scratch. It’s a great way to ensure players don’t hit a high level of endorsement and then start acting like jerks. There are some rewards in place, very minor rewards for endorsing other people. You can only endorse a very limited number of people per match, this ensures players won’t exploit it for experience/rewards. People who hit high endorsement levels frequently will be rewarding for it. There’s no word at this time on what the rewards will be, I can only assume experience and endorsement specific loot. Looking for Group has been long asked for and long awaited by the Overwatch community. The new system will allow you to create groups to your exact specifications. So if you’re insistent on having two tanks, two dps and two healers you can restrict those roles within your group and force players within your group to stick to those preassigned roles. On the flip side, you can also configure your group to be wide open where players are allowed to play whatever they want. Within the looking for group system you can also name your group whatever you want, such as “serious players only, looking to climb from platinum to diamond.” or “require voice chat”. This will allow you to group with players that are looking for a similar experience. It’s important to note that this isn’t a match making system. When you use this feature you’re creating a group and advertising it to other players or you’re browsing a list of available groups and signing up for one. It’s not automatically placing players in groups, that’s what the basic match making system does. Something important to be aware of for players looking to use looking for group-the defense and offense roles have been collapsed into one role, damage. There are three roles total; damage, support and tank. All defense and offense heroes are in the same pool now. Which isn’t a huge deal since we all know how much havoc a good Junkrat can cause, but it’s certainly worth being aware of. Player profiles also received a notable change in this update, they can now be set to private, friends only or public. By default profiles will not be public moving forward. This is to prevent players for getting a hard time from other players based off their profile and being judged right off the bat. The patch that will introduce these new features has yet to be announced, but you can test them out on the PTR (public test realm) now. Given the amount of changes to the game that this patch will introduce, I wouldn’t expect it anytime soon as it’s sure to require a lot of fine tuning. AiPT! Podcast Episode 33: Kung Fu Fighting!